Relationships often crash when one party does not meet another person as an equal, whether that be with young children, teenagers, adults, friends, partners, colleagues … we are all in relationship in some way. This chart is a simple reminder of a fact that is often overlooked and forgotten by many, if not most people in the behaviour field – at the core of our being we are all the same. When we hold a newborn baby in our arms we feel the absolute pureness, joy and love that are at the core of this tiny little body. 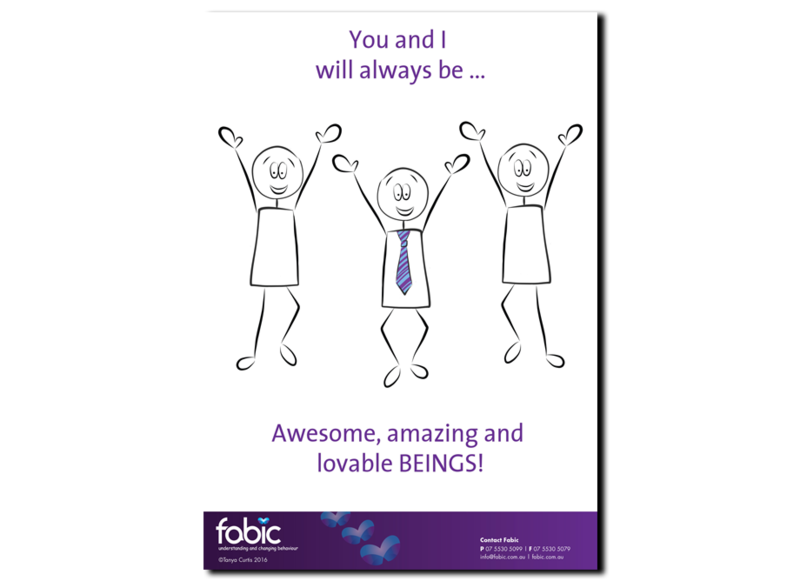 As we hold the baby, we do not need them to ‘do’ anything; rather, we connect to the feeling of how amazing they are just for ‘being’ them. It is a fact that to truly heal our hurts from life and develop new skills to respond to life, we need a relationship with ‘honesty without judgment’. 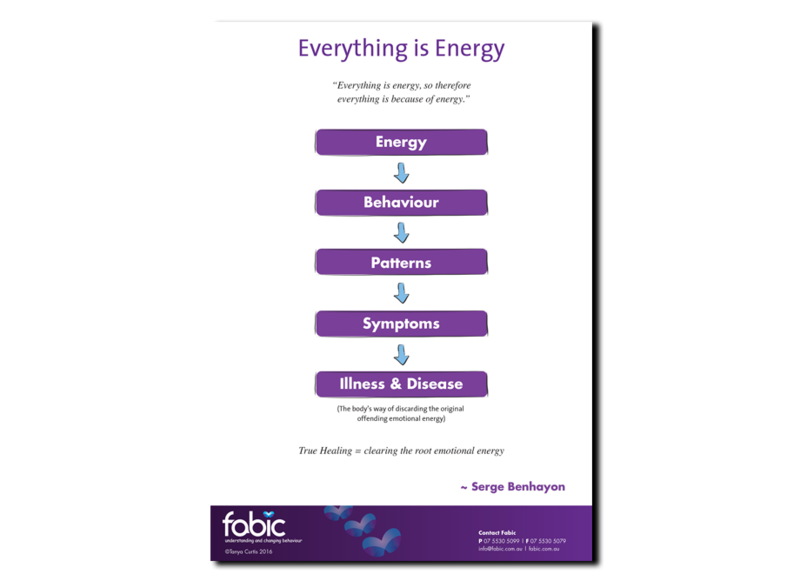 This chart offers a simple yet very important understanding of the sequence that leads from energy to behaviours, patterns, symptoms and finally illness and disease. The clear message here is that if we are to truly heal from illness and ill symptoms or bring lasting change to our patterns and behaviours, we must address the root energy. 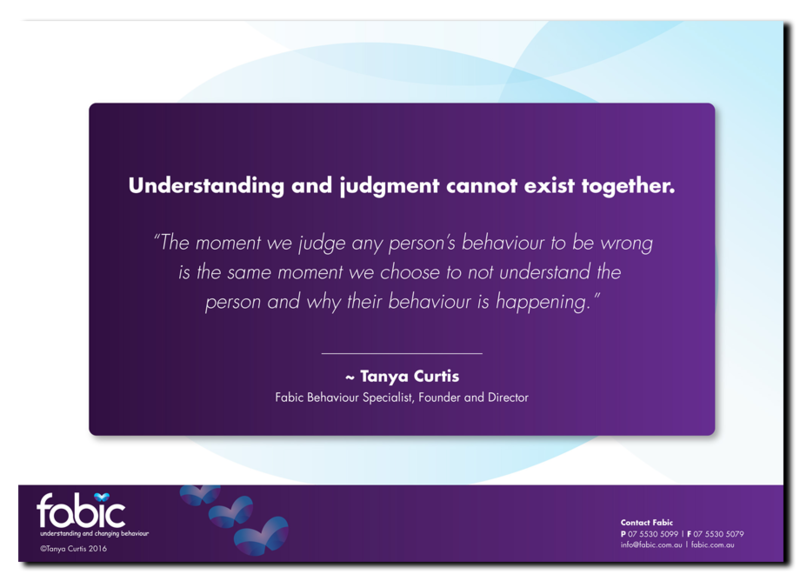 Superficially managing behaviour without addressing the root cause will never bring lasting behaviour change. 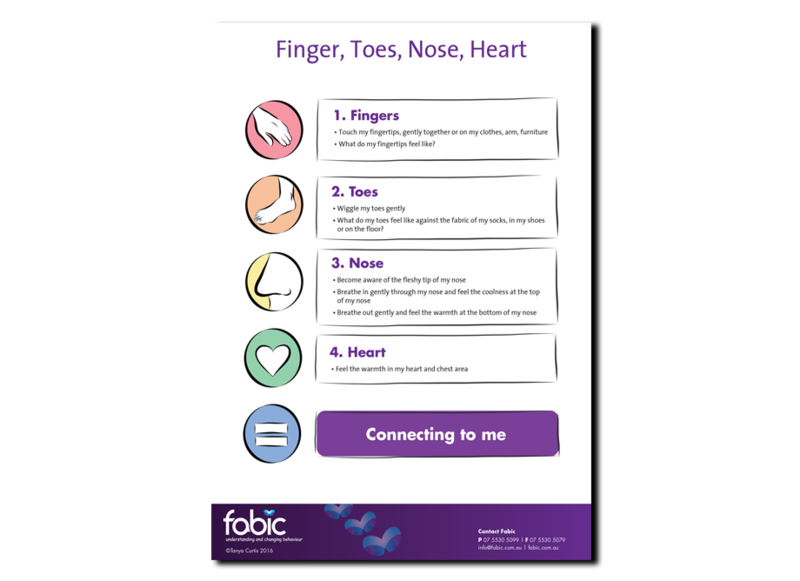 A simple connecting technique we use at Fabic is called Fingers, Toes, Nose, Heart. It is common to not bring focus and attention to our fingertips even though they are one of the most delicate parts of our body. This step is simply about bringing an awareness to our fingertips and how they feel. By touching them gently against our clothes, our arms, our other hand, the furniture or objects, we become aware of the sensitivity in this part of our body. 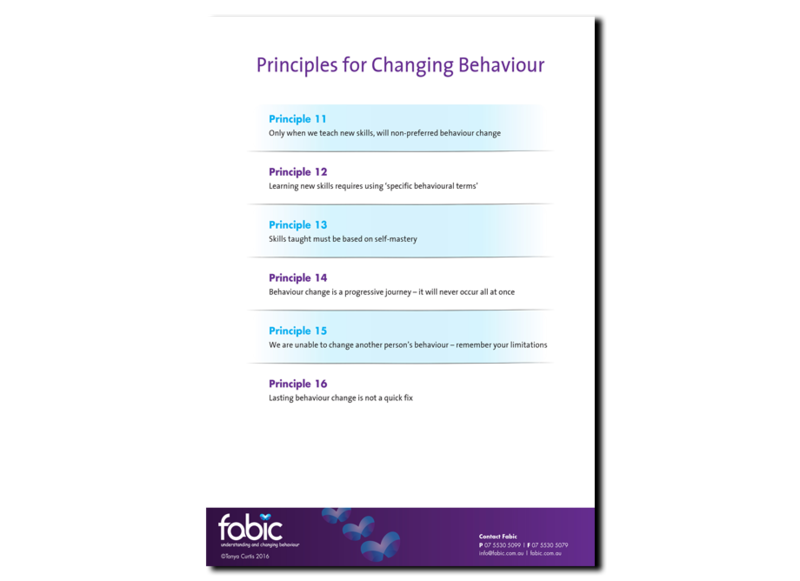 The principles in this chart are simple reminders aimed at supporting people to develop a foundation when changing unwanted or non-preferred behaviours. 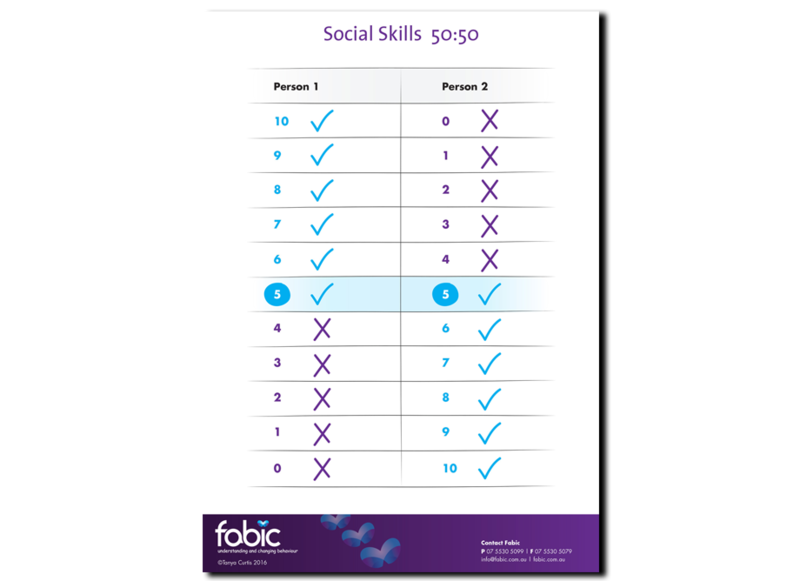 These are to be used in conjunction with the preceding ten principles on understanding behaviour. Each principle is explained in detail in the first book of the Body Life Skills program. 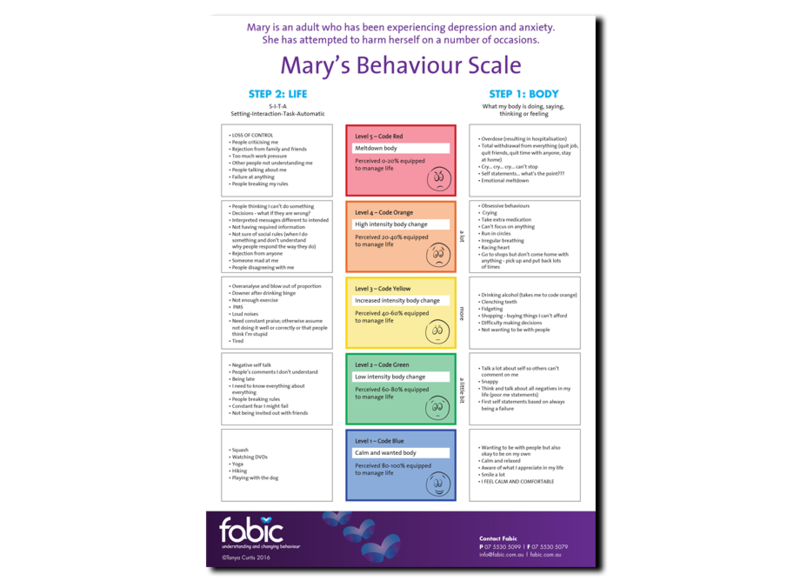 This Fabic Behaviour/Anxiety Scale provides a visual example of a completed scale for an adult experiencing depression and anxiety. This completed Fabic Behaviour/Anxiety Scale provides a visual example of a completed Behaviour/Anxiety scale for one student in the school setting.